August 2015 – Martin Bros. Contracting, Inc. This week on Martin Brothers Monday we bring you an addition to a two-story home. The client knew they wanted their 1939 Harter Heights home to be more open, more filled with natural light and more spacious. They hired Architect Bill Jackson and Martin Bros. Contracting, Inc. to build a 1500 square-foot addition that would do just that. Jackson started to work designing an addition to the two-story home that represents the Streamline Moderne architectural style (a stripped down style that followed Art Deco) and reflects industrial trends, including long horizontal lines, curving forms and technology. The addition incorporates some elements of Frank Lloyd Wright’s homes with horizontal windows, a move to bring nature indoors, and long, open living spaces. Jackson faced the challenge of breaking up the home’s symmetry with such a large addition. The client’s ended up buying the house next door and tearing it down- the result being a brand new space with lots of glass, clerestory windows, overhangs to allow as much light as possible and recessed patio doors on both sides of the new living area to blur the separation between inside and outside. Construction began in October of 2013 and the home was completed in June of 2014. At one point in the process, a basement was dug and a steel frame was constructed that was not attached to the original home. The homeowners and architect credit Martin Brothers, the contractor, with doing a very good job executing the design and the vision. The original brick, which is the same color as the brick at ND (a beige, taupe mix) had to match the addition. Jackson said Rose Brick brought in about six different colors for them to inspect. The finished product is sleek yet comfortable, light and airy but also private, and full of customized, personal touches that make the addition so perfect for this transplanted family. The kitchen is one of those that screams “entertain, entertain!” A large island with a soapstone counter also features a stovetop with six burners and lots of storage underneath. The other countertops are stainless steel for heavy-duty food prep. A glass shelving unit in the kitchen was designed by Jackson to open up the area between the kitchen and the hallway and incorporate some design trends of the Streamline Moderne style. The kitchen floor is Marmoleum, a product used often in commercial buildings, that is soft yet very durable. Many of the features of the old kitchen are maintained in the new; including the stainless steel countertops, cabinetry with furniture style flair and opaque glass doors. The limestone fireplace in the main room was custom made in Chicago to match a French 1930’s Streamline Moderne design. The client originally picked a flat finish for the Hickory floors in the main room, but when the look wasn’t exactly what she had in mind, a more satiny finish was applied. Her previous larger, more traditional home in New York had cherry floors, but she wanted this home to be different in style and décor. The light shelves constructed in the main room allow the natural light to bounce off the shelves up to the ceiling, which is a nod to Frank Lloyd Wright’s Usonian homes. To view additional photos of this project, please visit the Harter Heights Addition on our website. This week on Martin Brothers Monday we bring you a 1,458 sq. ft. walk-out basement and sunroom addition project along the St. Joe River that included a sunroom and master suite on the main level and a bar and theater room on the lower level. An additional 2,082 sq. ft. was remodeled and the exterior was completely renovated. The elevation to the pool and river was altered to make it easier to access both. The home was like new inside and out upon completion of the project. 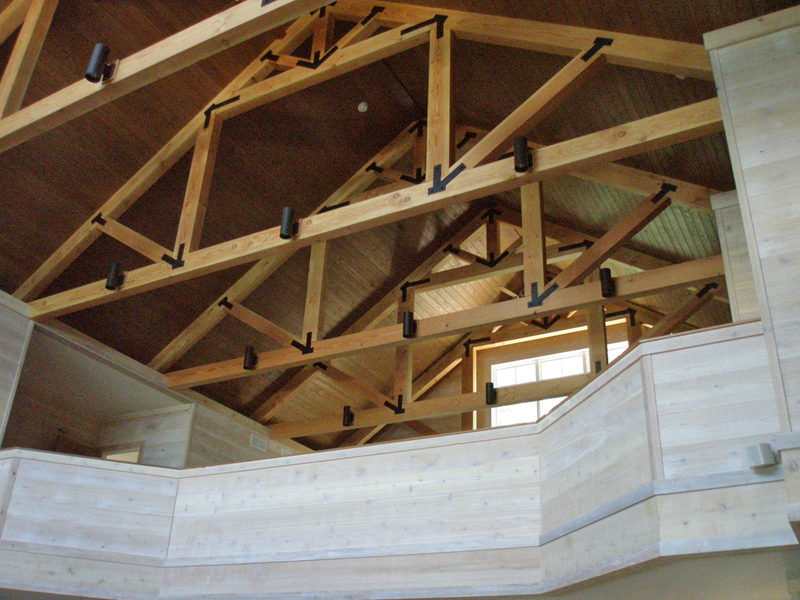 Architectural design by Phil Jenkins, AIA, Martin Bros. Contracting, Inc.; general contracting by Martin Bros. 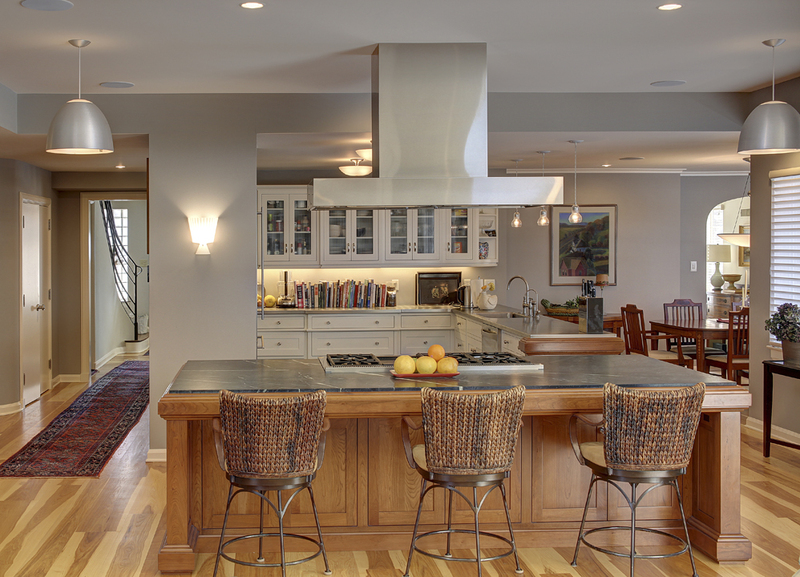 Contracting, Inc.; cabinetry by Ayr Custom Cabinetry; interior design by Designs Unlimited; photos by Studio 33. To see more photographs of the project, including before, in-process and after, please visit our Facebook page. 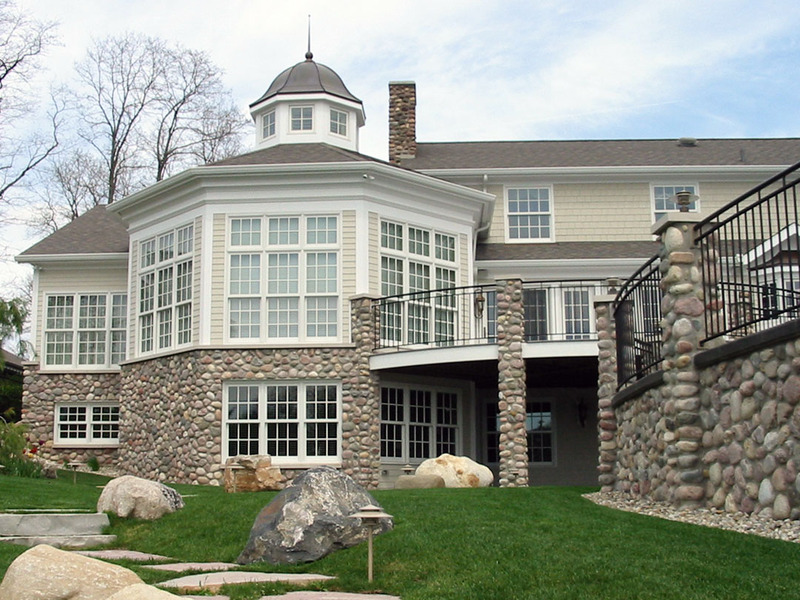 Martin Brothers Contracting, Inc. is a general contractor specializing in the building of fine custom homes, remodeling, renovations and additions. We serve an area within a one-hour radius of our rural Goshen, Indiana location. 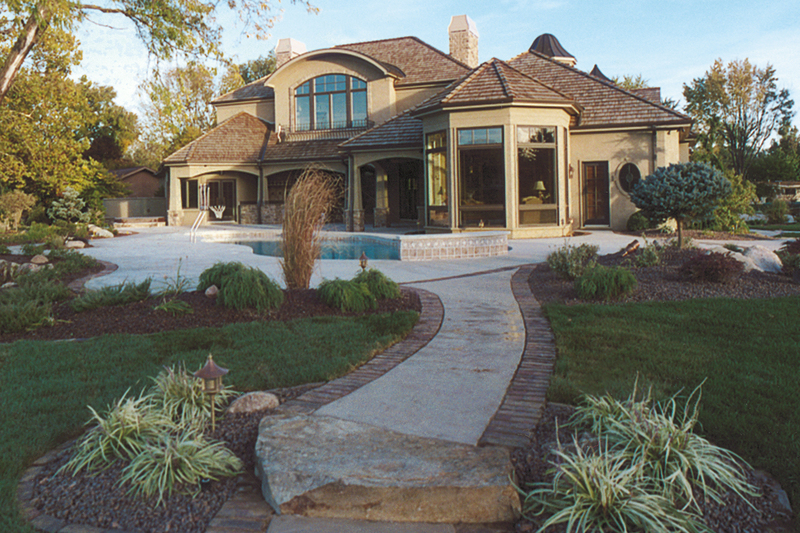 We are licensed to build in both Michigan and Indiana. 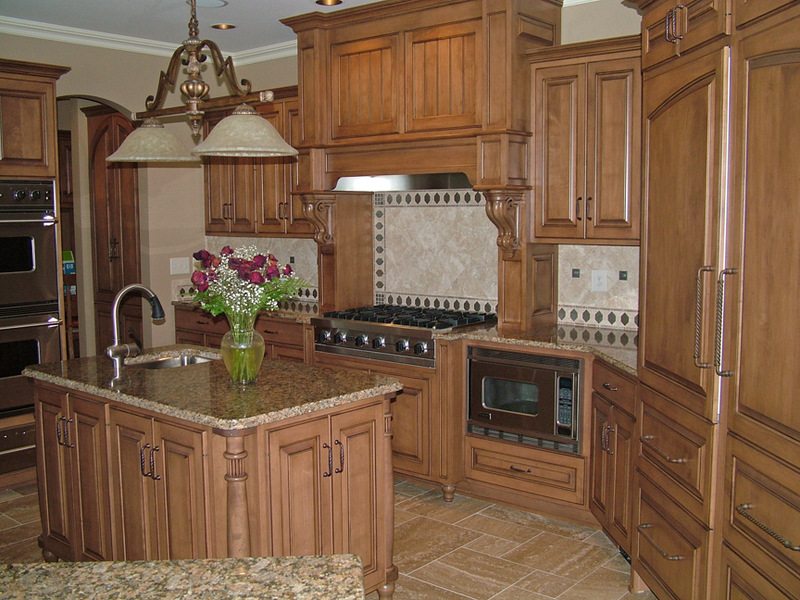 Interested in seeing more of our remodeling projects? Visit our website! 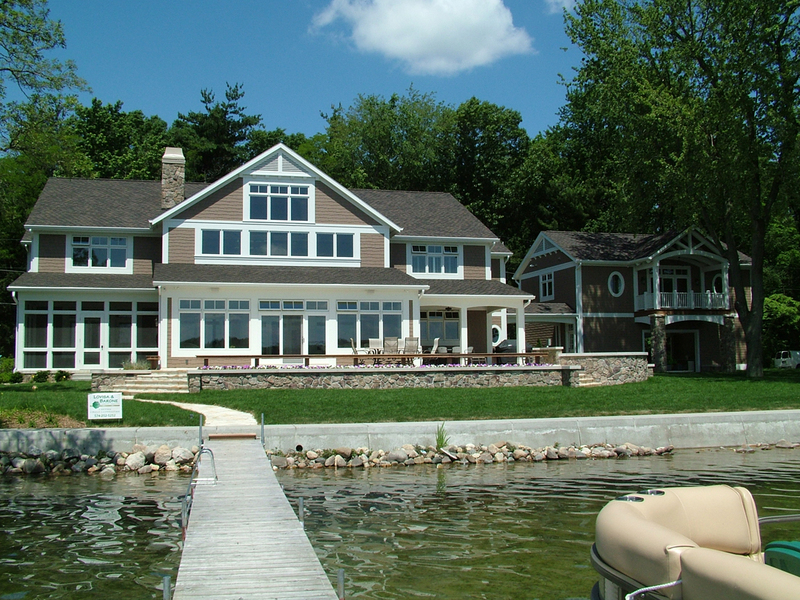 This week on Martin Brothers Monday we bring you a lake cottage that was built for a client that had entertaining their children and grandchildren in mind. The home has a total 9,244 finished sq. ft. that includes the loft over the garage. There are 3 private bedrooms, 3 sleeping lofts, 6 baths and a huge great room. Home is sided with concrete siding, trimmed with MiraTEC Trim and boasts windows by Marvin Windows and Doors. 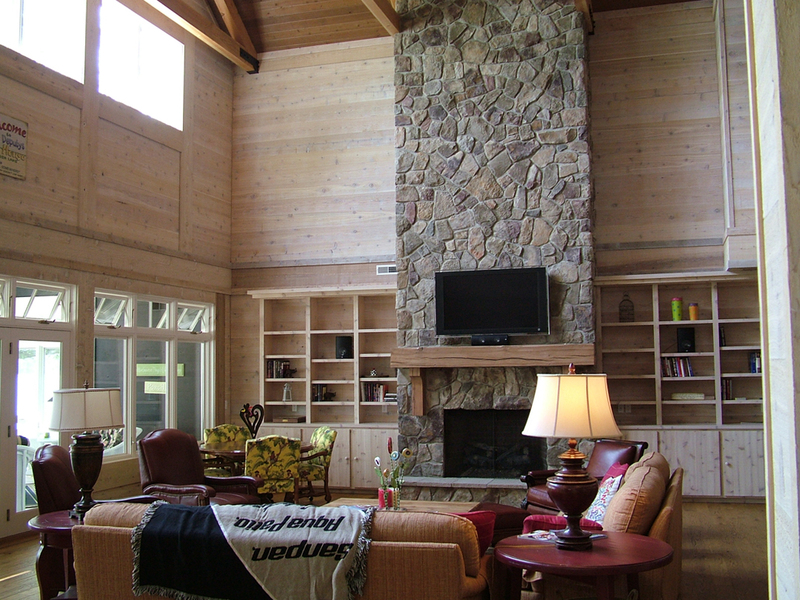 The interior is completely finished with rough sawn cedar and features cabinetry by Ayr Custom Cabinetry. Home design by Phil Jenkins, AIA, Martin Bros. Contracting, Inc.; general contracting by Martin Bros. Contracting, Inc.; interior design by Phelps Design Associates. Most photos taken before move-in. To see more photographs of this home, please visit our Facebook page. 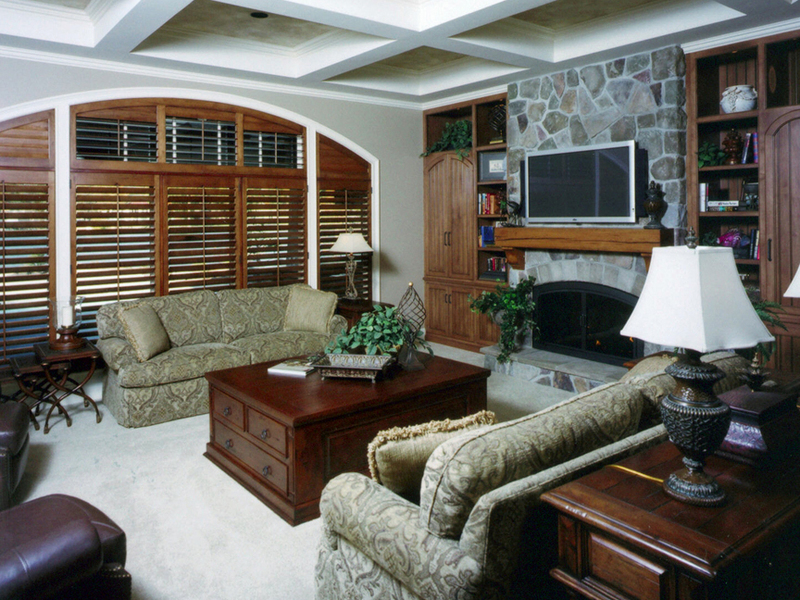 As a full-service builder, we offer one of the most comprehensive project-management packages in Michiana. Our trained staff is on site daily to oversee every aspect of the project, sparing our client’s from typical nightmares others have experienced. 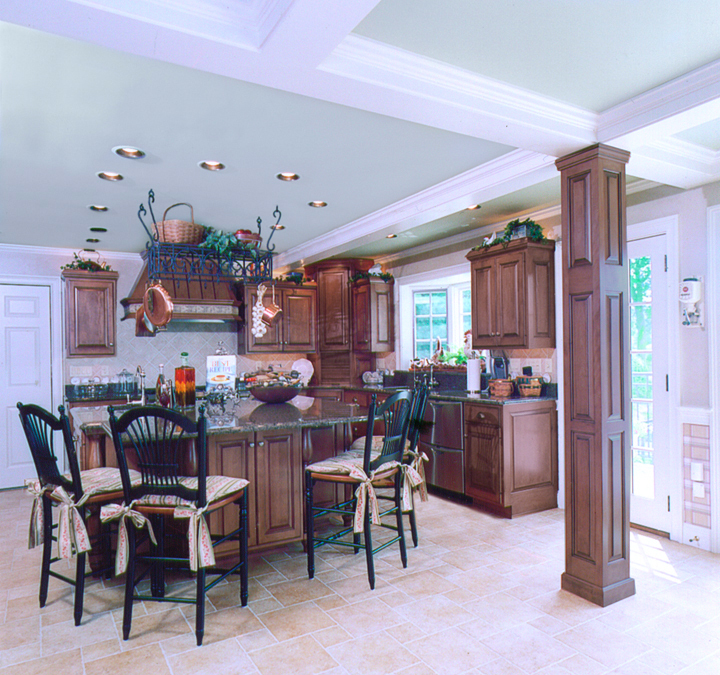 With the benefit of over 50 years of true custom home building experience, we have the knowledge it takes to build today’s complex home. 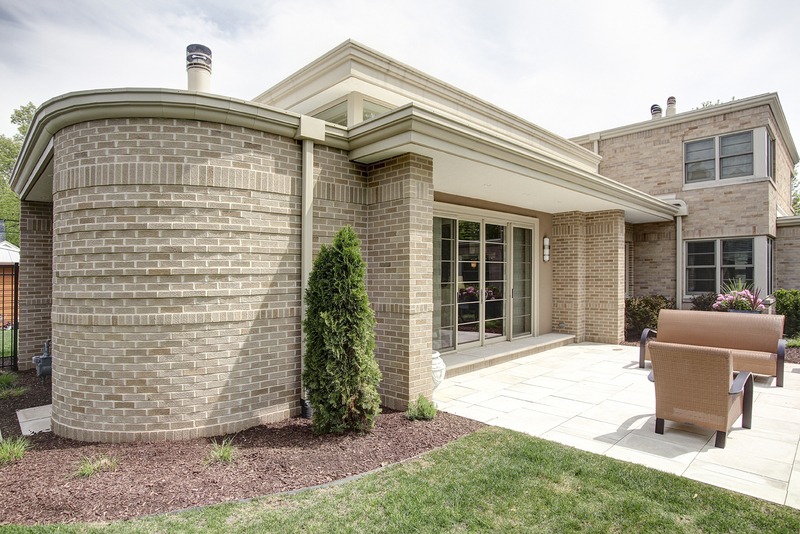 Interested in seeing more of our custom built homes? Visit our website! This week on Martin Brothers Monday we bring you a home that was built for a very busy, young family. The 4 bedroom home has 9,784 square feet under roof and was custom built by Martin Bros. Contracting, Inc. in 2004. The home has many great features that include an outdoor kitchen, fitness room, a very large billiards/entertainment room, built-in fish tank, pool, custom kitchen, his and hers garages, and a large master suite with a private courtyard. General Contracting by Martin Bros. Contracting, Inc.; Interior design by Phelps Design Associates; Architectural Design by Phil Jenkins, Martin Bros. Contracting, Inc.; Professional Photography by Studio 33. Martin Brothers Contracting is a general contractor specializing in the building of fine custom homes, remodeling, renovations and additions. We serve an area within a one-hour radius of our rural Goshen, Indiana location. We are licensed to build in both Michigan and Indiana.